NOTE : You can Chives seeds online from our online garden store – the best place to buy seeds online ! Sowing Season: The plants can either be started indoors in early spring, or can be directly started in the ground in mid-spring once the soil starts to warm up. Sowing Method: Seeds should be sown about 0.5 cm in the soil, and they should be spaced about 10 cm apart from each other. 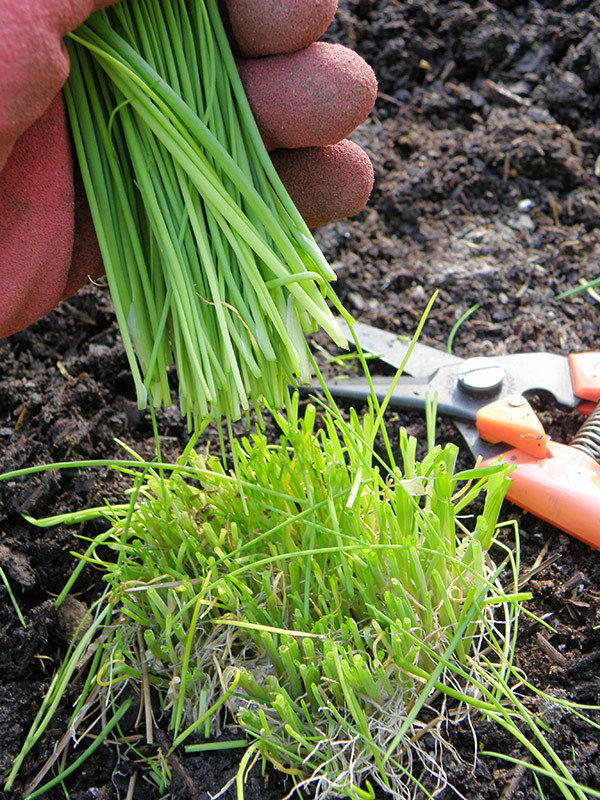 Care: Rich soil is required for the upkeep of chives. Make sure to apply a slow grow fertilizer liberally to the plants, with a high nitrogen concentration. Mulch regularly to conserve moisture and control weeds. Once the plant is fully grown, then the fertilization and mulch can be stopped. Pests: As chives naturally repel most insects, pests are not such a big problem with this particular crop. However, aphids can affect even this crop. The best way to treat this pest is by washing the plant with neem or soapy water. Harvest: Chives should be harvested about 60 days after sowing the seed. Even the flowers can be used in cuisine, as they add a nice color to the dishes. However, in the initial stages of the plant, make sure to remove the flower buds, as they hinder the growth of the stalk, which is mainly used as an herb. You should cut the stalks and the flowers such that about 3-5 cm of the stalk is left in the ground so that the plant can grow, and be harvested once more. After around 3-4 years, a nice small clump of chives will form giving you a nice-sized yield. Propagation: Chives are mainly propagated by seeds. As we can see, these plants do require some intensive care when starting off, however, after time they are quite easy to take care while giving an impressive yield. As they say, ‘No pain, no gain’. Chives not only repel insects from the garden due to the sulphur compounds they contain, but also attract bees due to their vibrant flowers, which helps the overall pollination of all the crops in the garden. So do a favour for your garden and your kitchen, by giving chives seeds a try! This entry was posted in Herbs and tagged chives, growing chives. Bookmark the permalink.